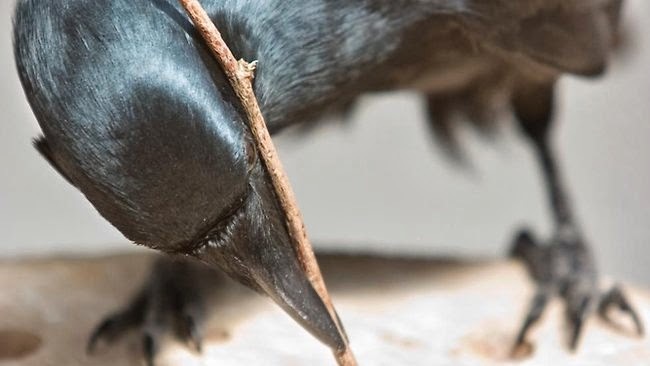 (Reuters) - A species of crow native to islands east of Australia has long wowed scientists with its intelligence, and now it has shown it can solve at least one puzzle as well as the average 7-year-old child, scientists reported on Wednesday. Like other research on the cognitive abilities of nonhuman animals, the study sheds light on the evolution of intelligence and whether disparate cognitive capacities develop in lockstep or at radically different rates between species. The results suggest that an understanding of cause and effect evolved fairly early.